I’m on the PTO at Madeline’s school and last week we provided the bus drivers with an appreciation breakfast. I was looking for a springy muffin and I saw these muffins on Pinterest and knew that lemon muffins would be perfect! They’re moist and lemon is really the highlight of these muffins. I substituted chia seeds for poppy seeds since I didn’t have poppy seeds. The glaze on these muffins was amazing. The addition of melted butter makes all the difference. I’ll be adding a little butter anytime I make a glaze in the future. Preheat oven to 350 degrees F and line a muffin tin with paper liners. In a medium bowl, whisk together the flour, baking soda, salt and baking soda in a medium bowl. Combine the sour cream, buttermilk and lemon juice in a small bowl. In the bowl of an stand mixer, beat together the sugar, butter and lemon zest. Add one egg at a time, beating well after each egg. Beat well until the mixture is light and fluffy. Mix in the dry ingredients in thirds, alternating with the sour cream/buttermilk mixture. Mix until just blended. Stir in the chia seeds. Divide the batter between the prepared muffins cups. Bake for 20 to 22 minutes. Cool in pan for 5 minutes and then remove to cool completely on a cooling rack. While the muffins are still warm, mix together the glaze ingredients. 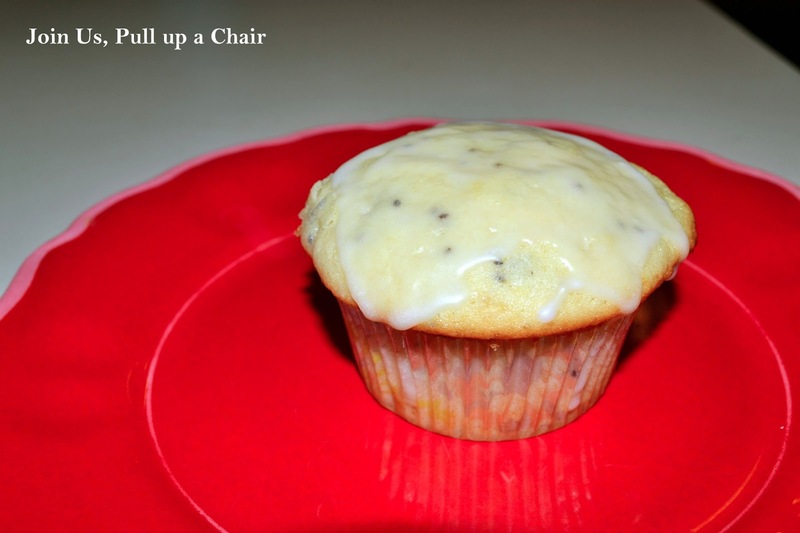 Drizzle or spread over the tops of the muffins. Let cool completely before serving. Aw yum! I'm always looking for new ways to incorporate chia seeds into my diet, and these muffins look like a delicious way to eat them without the obvious 'chia' flavour! Thanks for sharing the recipe. Definitely bookmarking this!